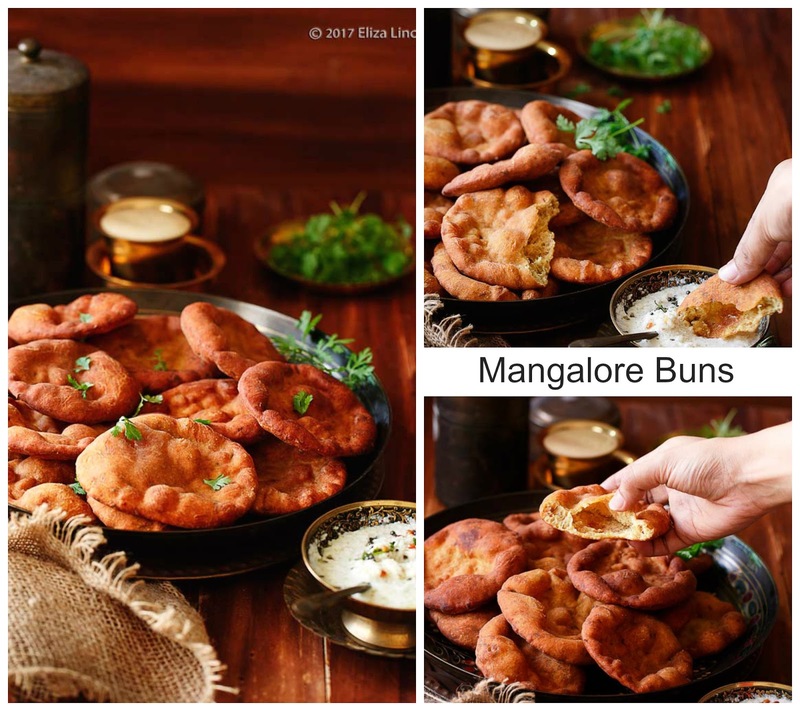 Mangalore Buns| Banana Buns| Mangalore sweet buns| Mangalore sweet Pooris is a tasty snack recipe from Karnataka. These fried buns have the bread like texture when it is opened, so it is called banana buns. 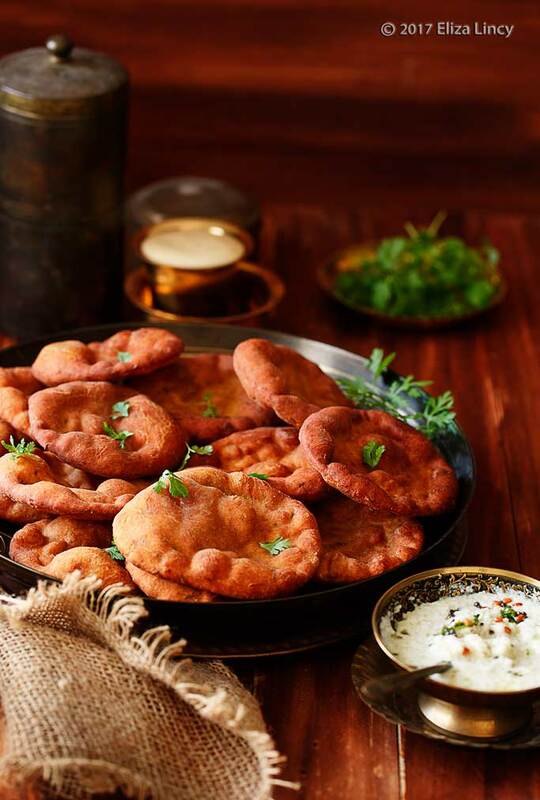 These buns have the bread like texture and pooris like hallow inside. 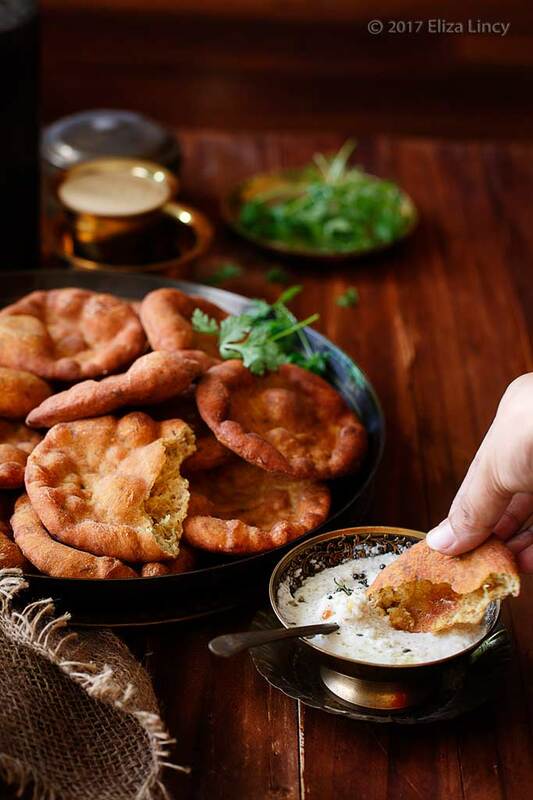 If you keep the dough over night it will fluff up very well and puff up like pooris. Here i gave 3-4 hours of raising time so some of my pooris only puffed up well. But it tastes great when it a thick coconut chutney. Generally well ripe bananas are being used for this recipe. Best way to use the leftover ripe bananas. 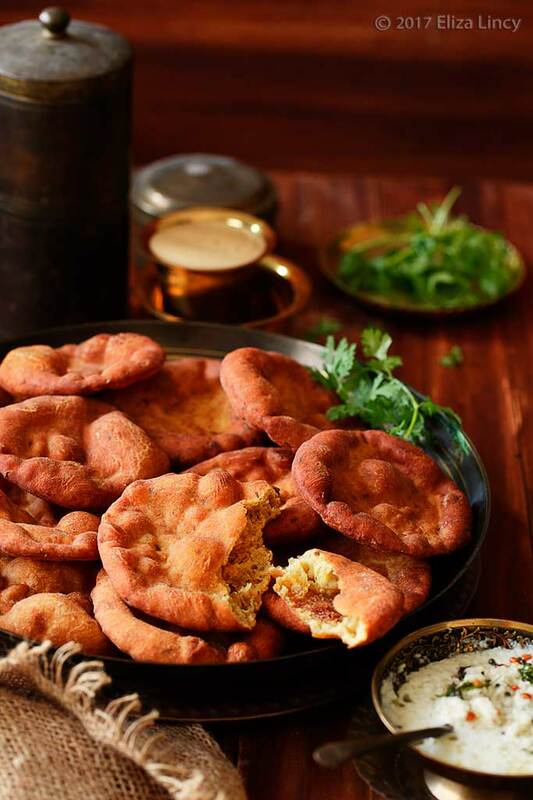 It tastes similar to the Kerala Bonda, and i personally felt each state has its variation. Peel and mash the bananas using fork or in a blender jar. In a deep bowl add the mashed banana, sugar, yogurt and salt. Mix well. Now add the flour little by little till you get a soft chapati dough consistency. Grease the outside of the dough with little oil and cover it and allow to ferment for 3 hours to overnight. The buns puffs up depends on the time you give for fermentation. As i was in a hurry i made the buns with in one hour so i could not get the buns so puffy. Heat oil in a pan and start to roll the dough. Pinch a small lemon sized ball and roll well and then spread the dough as a 2-3 mm thick disc. Drop the discs inside the hot oil and fry in low flame till golden colour. While frying using a slotted spoon slightly push the oil on top of the buns which aids puffing up the buns. 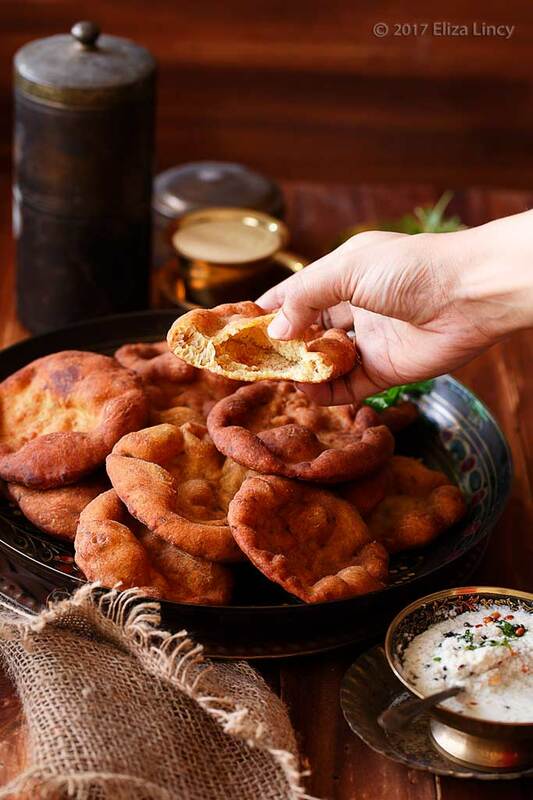 Note: You could use half wheat flour and maida for this recipe. I love these! Tastes amazing with chutneys!